1. HOW TO JOIN HOME BASE WORK? Just go to our website www.workfromhomedata.com and register or sign up there and start work what you want to start. 2. HOW TO WITHDRAW PAYMENT? We will pay by western union, paypal, cheque, paytm, payoneer or online bank transfer. Go to our website www.workfromhomedata.com and login there. And in you login area click on "how to withdraw payment" button and fill your payment receiving details. You option will open for withdraw your payment in your "my completed work" area after completing 30 days work only. 3. YOU HAVE DONE SOME MISTAKE IN YOUR WORK? If there are few mistake only then it may be possible you will pass the 98% accuracy level. After today don't do any mistake so that you can give 98% accuracy. After completing your 30 days work you can see your submitted work also. And you can see your accuracy level also there. 4. NOT ABLE TO SEE DATA AND FORM? Please delete your browser history and cookies. Because work is already updated there. 5. IS THIS WORK IS GENUINE? You can believe on us. We need only one thing from you, and that is 98% accuracy in your work. Because our client are not taking any fee for that so they want accurate work. For getting payout you have to give us minimum this accuracy. If we will not give this accuracy to our client they will not pay us for that. Hope you will understand that. After completing your 30 days work you can see your submitted work also. And you can see your accuracy level also there. 6. CAN I WORK FROM ANY COUNTRY OR COMPUTER? Yes you can work from any country. There is no any restriction for that. Yes you can work from any computer. You can do same work from different-different computer or ip address. 7. HOW MUCH JOB I CAN DO SAME TIME? All jobs are totally free. Any number of job you can do same time. After participating you have to complete 30 days for payment process. 8. REFERRAL JOB IS MANDATORY? No referral job is not mandatory. From referral job you can earn additional earning. 9. CAN I TAKE ONE DAY LEAVE? You can take 48 hour leave only continious leave. If you will take more then 48 hour leave continious then your account can be disable without any notification. 10. SOME TIME GETTING DATABASE OR INTERNAL ERROR? We are regular updating our server. Some time you will see this type of database or internal error. For this please refresh your browser and check website after few minute. Very soon we will solve that. We are very sorry for this inconvenience. First please delete your browser history and cookies. 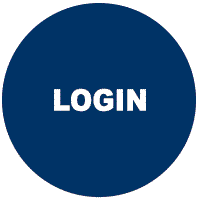 Please go to login page and click on forgot password button. 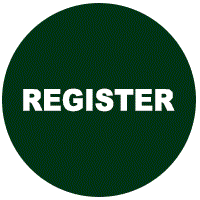 Fill your registered email id with us and you will receive new password in your email id. With new password you can login in our website. 12. NOT ABLE TO RECEIVE NEW PASSWORD? If your email id is correct, then 100% you will receive new password in your email id. It can take 3 to 5 minute maximum. And it can be available in your inbox or spam folder. So please check all email in inbox and spam carefully. 13. I AM OLD REGISTERED USER AND GOING IN ACCOUNT DISABLE PAGE? Your account is disable because you have not follow one of rule. First you have to read FAQ or all instruction in your job area. This is automated system. And we can't change. This automated system will disable you after some time if you will not follow any one of given rule. And we can't do anything on that. Without any proper reason your account can't be disable. Now you have to think that what mistake you have done? YOUR ACCOUNT IS DISABLE BY ANY ONE OF THESE REASON? Your account is disable because you have not done your any work before 2 days. "You can take maximum 48 hour leave. You can't take leave more then 48 hour. Because our clients want regular work from us. For emergency case you can take maximum 48 hour leave only." 14. COMPANY WILL DEDUCT ANY TAX ON MY PAYMENT? We will not deduct any tax if you will receive your payment by paypal or western union. But we will deduct 30% tax if you will take your payment by other method. And we can't pay indian freelancer by paypal or western union. Because these facility is not available from paypal or western union that we can pay him from here. 15. I DON'T WANT TO PAY ANY FEE, CAN ID DO THIS JOB? Yes you can do any jobs but this is must for you that please read all instruction and FAQ before starting the job. 16. WHAT IS PAID JOB? Go to our main website home page and you can see paid plan for every job there. There are different different job and plan available for that. Earning is different. No daily limit in paid plan. Direct work given in paid plan. And many features available in paid plan. 17. I WILL RECEIVE PAYMENT FOR MY DISABLE ACCOUNT? If your account is disable from your mistake (if you have not follw above and below given rule). Then you will receive nothing from here. Here are no any option for people who can't do work according to instruction. So please don't join or work with us if you can't read instruction or can't understand that. Because you will receive nothing if your account is disable from any one of your mistake. You will waste your time if you will not follow the rule. That's the reason every time we are saying that please read this page before starting the work. And read all instruction in your work area. 18. I HAVE DONE 30 DAYS WORK BUT MY ACCOUNT IS DISABLE? If you have done your 30 days work for any job. Please login in your account one time at least in every 48 hour. If you will not login in your account it can be disable. And it will treated you are no longer interested to work with us. If you have done 30 days work and your account is disable by this reason we can't active your account again. And you will lose your all completed work and all earning. So please active in our website after completing the work also, whenever you will not receive your payment from here. No anything you have to do for active your account after completing the work. Just login in every 48 hour for few minute and you can log out. 19. HOW COMPANY WILL CALCULATE 98% ACCURACY? For one category 30 days work is 300 data. 98% of 300 = 294. So you have to do minimum 294 data correct for one category. If your 293 data is correct only then you will disqualify for this category. And you will not able to receive any payment for these 293 data. In one form if your one data is incorrect. Like date of birth or anything then your one form is incorrect. In one copy paste form if you will do any single mistake then one copy paste data is incorrect. In ad posting if 7 link is wrong then your work will disqualify. In facebook or whatsapp if your submitted 7 images or facebook url will wrong then you will disqualify for that work. 20. HOW I CAN WITHDRAW MY EARNING FOR FREE PLAN? Direct you can't withdraw your free job plan earning. If you have completed any free job plan then you can take same paid plan from this earning. Because we are giving you job without submitting any fee. So from your first earning you can purchase paid plan and you will all benefit of paid plan. If you are not interested on this then you can direct buy paid plan. But after completing one month paid plan you can direct withdraw your payment in your paypal/bank/ or by western union or other suitable payment method. 21. In which time i can do my work? Any time you can do your work. There are no any time restriction. Minimum 30 days work require for payment process.